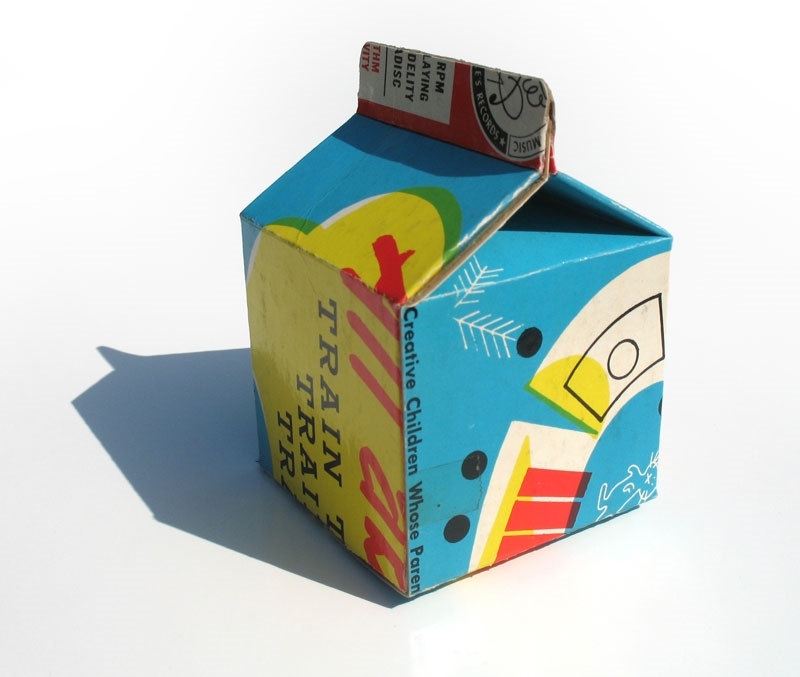 For these little milk carton sculptures I used old record album covers. Taking something that was designed to be viewed flat and folding it into a 3 dimensional object resulted in some fun crops and surprising graphics. 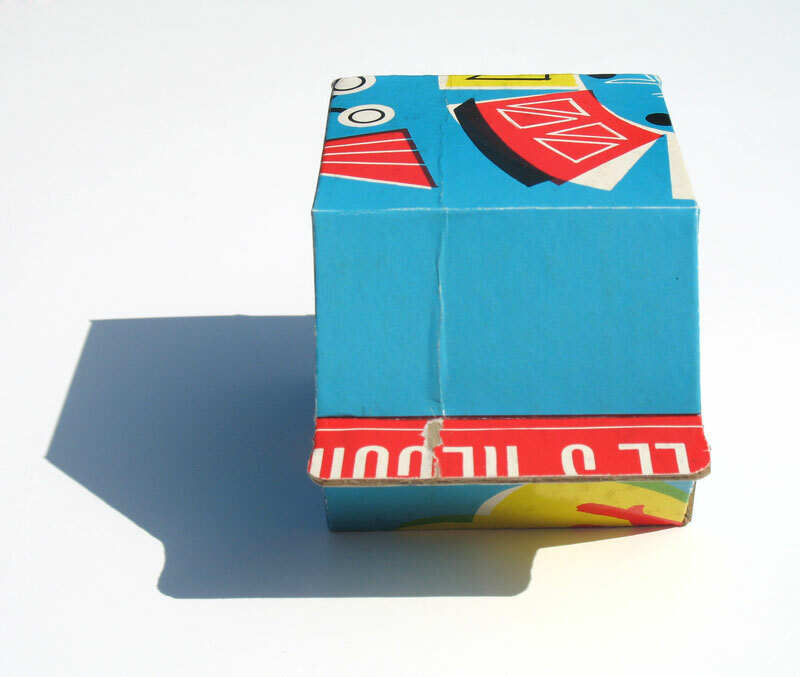 The half pint milk carton has such great geometry!